From The String Quintet in E major, Op. 11, No. 5 (G 275), third movement. Being one of his most famous works, is most-often played as a standalone piece outside of the context of the full quintet. 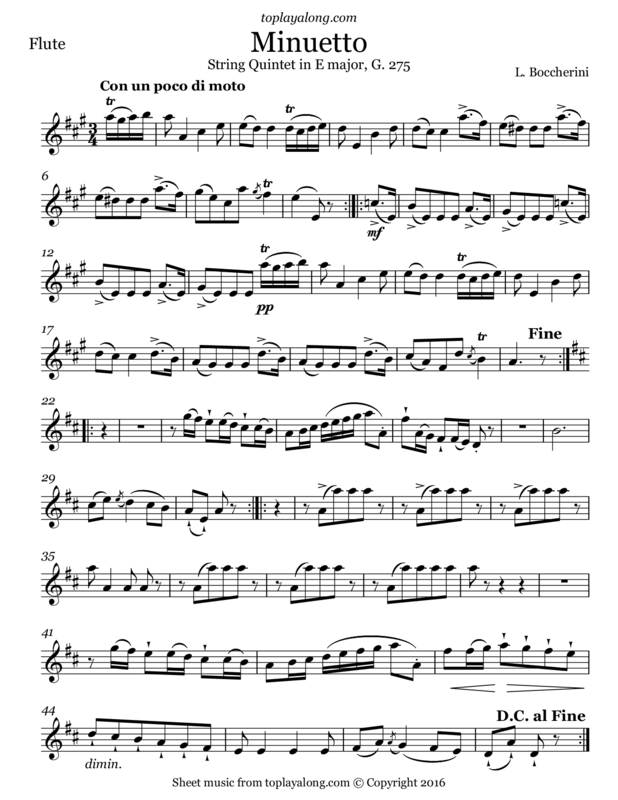 The third movement of the quintet is notably the most famous, and is the most often performed of all the movements. It is in 3/4 time, and is occasionally referred to as the “Celebrated Minuet”. It departs from the original key of E Major and becomes A Major. Italian classical era composer and cellist whose music retained a courtly and galante style while he matured somewhat apart from the major European musical centers.